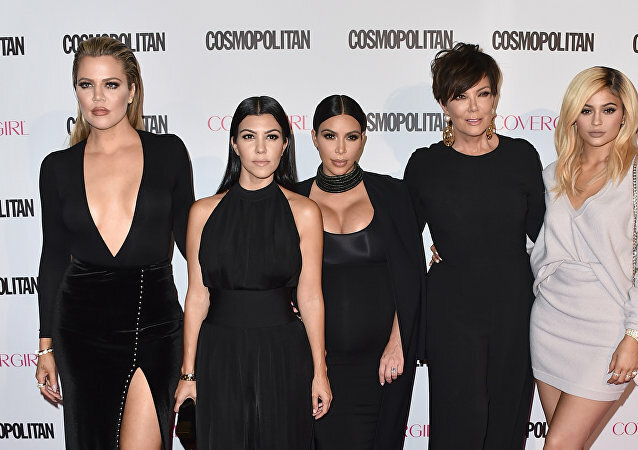 The Kardashian-Jenner clan is no stranger to Photoshop controversies: just a month after Khloé was mocked for unprofessional editing of her photos, Kourtney has also become the talk of the town. Apparently, this is one way to cope with the psychological trauma of finding oneself alone again. As the rapper and fashion designer Kanye West has hinted he plans to run for the presidency in the 2024 elections, he has received the backing of his wife’s sibling, reality star Khloe Kardashian. The trend apparently started with the Kardashians' matriarch, Kris Jenner, with people noticing how much she looked like her daughter Kim in one of her latest pictures. The voluptuous members of the TV reality/social media celebrity clan have congratulated their fandom by posting a traditional Christmas photo. The shot of Khloé, Kourtney, Kylie and Kim posing with their kids instantly became iconic, but some netizens were left unsure whether all the family members were really shown with their own body parts. The Kardashians have not kept low profile in recent years and Khloe, although she gave birth to a little princess not long ago, eagerly shares the happy moments of her and Tristan doting over their daughter, as well as posts stunning pictures to prove she is back in harness, both physically and emotionally. Rather than sulking in depression following a breakup, some people seek to get back at those who dumped them by dieting, working out and getting a "revenge body".